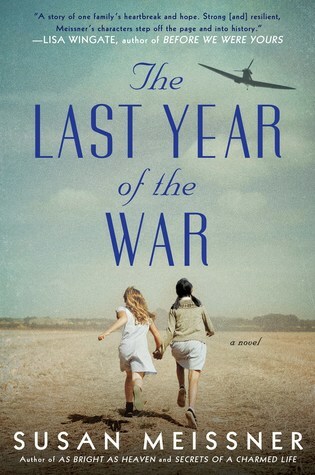 Goodreads: Elise Sontag is a typical Iowa fourteen-year-old in 1943--aware of the war but distanced from its reach. Then her father, a legal U.S. resident for nearly two decades, is suddenly arrested on suspicion of being a Nazi sympathizer. The family is sent to an internment camp in Texas, where, behind the armed guards and barbed wire, Elise feels stripped of everything beloved and familiar, including her own identity. Kritters Thoughts: Two young girls are ripped from their normal both due to the ethnicities of their fathers and the effects of war. These girls start to form a new normal in an internment camp in Texas when again their lives are upended. There are a few moments in the current day as Elise has decided that she needs to find her friend from those days before it is too late for her to reconnect. I have said this a lot on this blog, but one of the big reasons why I love to read historical fiction is when I get to learn something that I didn't know while also being entertained by a story. I was aware of internment camps, but had read only of them in California with the asian population, to read that there was more and that more than that one ethnicity was affected really surprised me. I also didn't know about the process to get into internment camps and appreciated that this author presented two avenues as to how these people ended up in these places. Not the most positive points in America, but something that we should all be aware of not to repeat it! Every book of Susan Meissner's that I read I loved, have you read any over her books? I haven't read them all, but have given all the ones I have read either four or five stars. I want to make an effort to complete her backlist and then keep up with her releases as they come out.